The Nike Air Command Force, an iconic shoe that was originally released in 1991, is being reintroduced by Nike Sportswear. This legendary shoe has been nowhere to be seen since the early '90s, but is now being reincarnated in some style. The 2014 version of the shoe upholds the tradition of its grandfather, such as the Air-Fit application and the heel valve pressure-release cylinder. The inflatable Air-Fit technology makes it possible to adjust the shoe for custom comfort using an inflatable bladder in the ankle. The shoe also has an eye-catching appearance with its fluorescent elements. 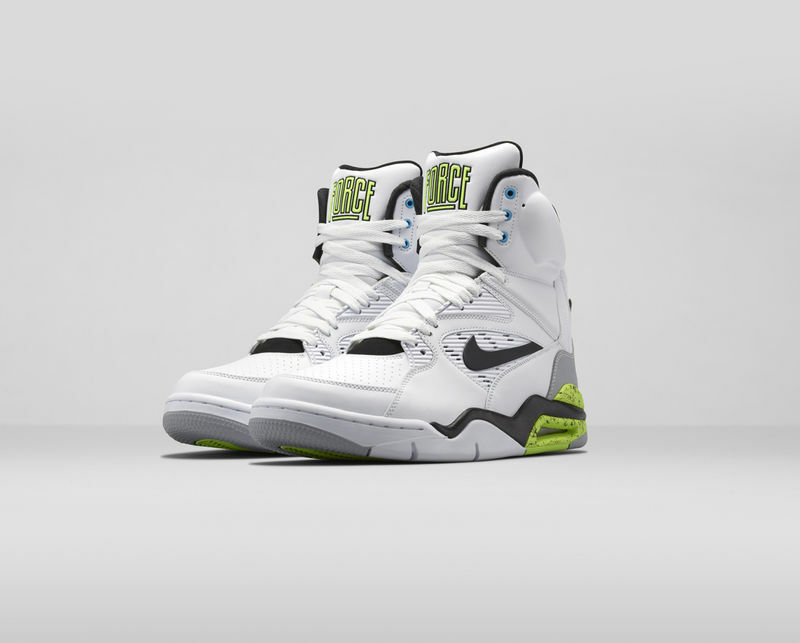 The Nike Air Command Force was made available for purchase on October 18 at select Nike Sportswear retailers and the Nike Sportswear website.